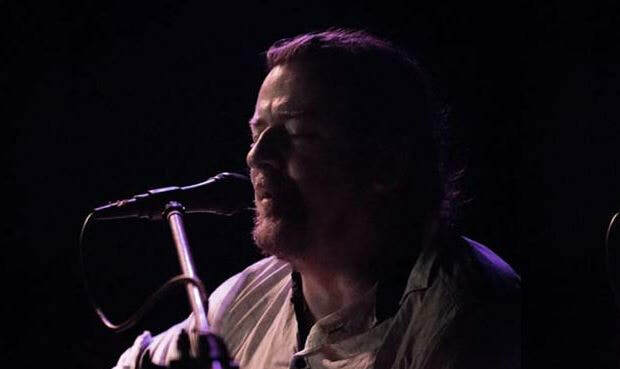 ​Tay Oskee is a multi-instrumentalist playing different types of guitars, banjo, harmonica and percussion. With a musical style that is wide and varied Tay can take you on a journey from chilled beach tunes to punchy riff driven roots music with distinctive multicultural influences. Raised in what most would call paradise, Tay took many influences from the surrounding beauty of Mission Beach, and also his early years of living amongst the Aboriginal people of North East Arnhem Land. It was here where he was surrounded by a strong connection to land and the sounds of ancient music and dance. These influences can be heard in his lyrics and music where he communicates through songs of nature, hope, love, and personal journeys. Tay's live shows have been praised for their incredible dynamics with the ability to leave crowds silent while he weaves through beautiful ballads of love and hope. While in the next breathe he can have the whole crowd in a dancing frenzy with his infectious build ups and rhythms. In less than a year Tay has had sold out shows and has supported acts such as Ash Grunwald, Mat Mchugh and Bonjah. An act not to be missed! 'Mission Beach Naturally - a Magic Place' song was written by Mission Beach school kids. The Cassowary Coast Regional Council partnered with Mission Beach Cassowaries and Friends of Ninney Rise forming the school choir to welcome the Queens Baton Relay with the song as they arrived in Mission Beach on 17th March. The song It is currently being professionally recorded as the theme song for a Tourism promotional video presenting the special natural and cultural values of Mission Beach. The school kids will sing again for the Cassowary Festival. 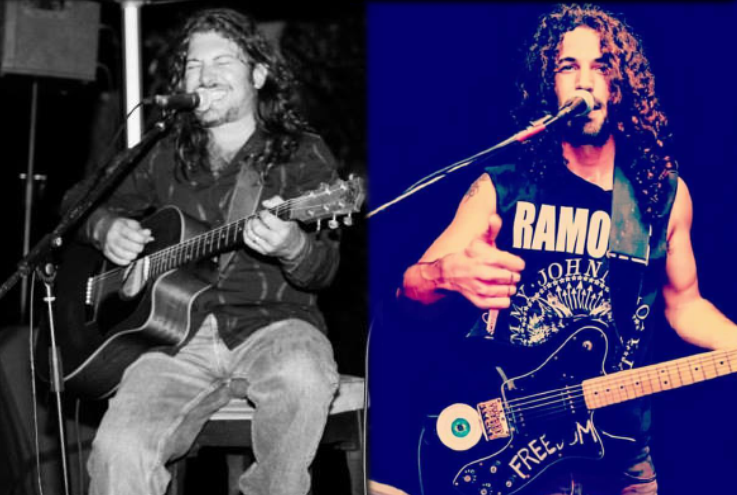 Based in Mission Beach, Paul is a solo singer guitarist/entertainer specializing in Hotels,Weddings, Parties and Corporate functions - Port Douglas, Palm Cove, Cairns, Cardwell, Townsville and all points in between. are not to be missed. 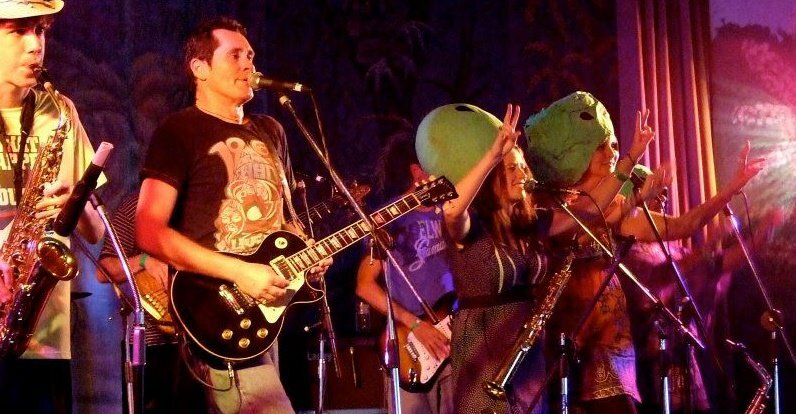 JuJu Moon is an original and exciting festival band complete with full rhythm section, backing vocalists and an entertaining horn section. The soaring saxophones, emotive vocals and rocking guitar of JuJu Moon combine in an energetic show performing original well crafted, meaningful songs - many depicting life in the tropics at Mission Beach. Gritty, sensual, powerful, sometimes hilarious - JuJu Moon are not to be missed. They will be playing some original tunes especially composed for the festival. Check them out live on their website. 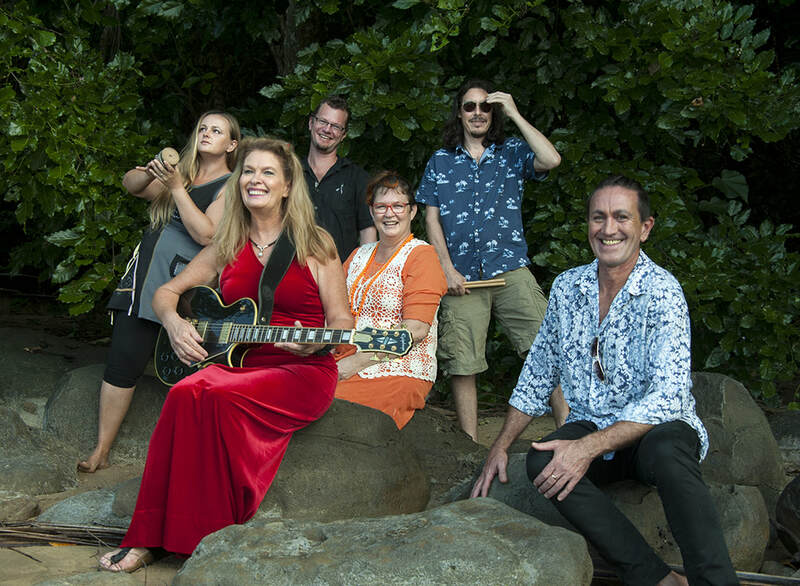 "Choral Coast Collective are a group of local Mission Beach musicians who have a passionate connection to the rainforest, mountains and the ocean of the Cassowary Coast. This passion is represented through original music and some borrowed tunes that celebrate the environment and its conservation. With a solid bass of guitar and drums and layered with upbeat rhythms, strong vocals, violin and saxophone, the music of the Choral Coast Collective traverses various soundscapes, reflecting the spirit of the local area. ". Left to right, Kym Hall, Ross Slight, Jan Streater, Angus, Jesse Bassett and Laura Dawson. 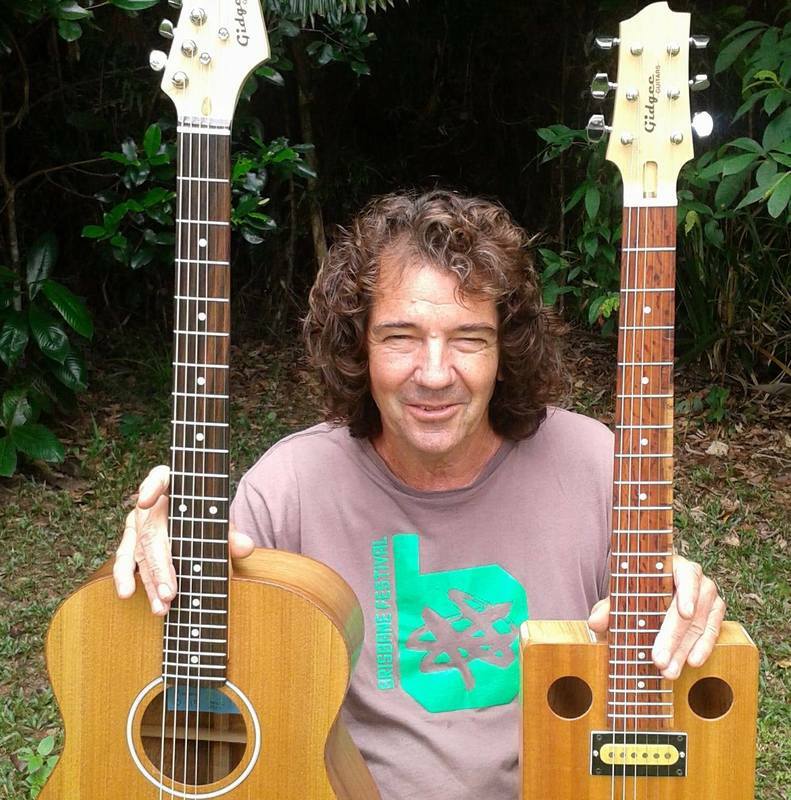 John Brown shown here with his creations Gidgee Guitars No. 077 & 078. "The one in my right hand is rosewood and the box guitar is casuarina.These are my two new budget models. Still have the good woods and sound but no fancy inlays just simple looks". 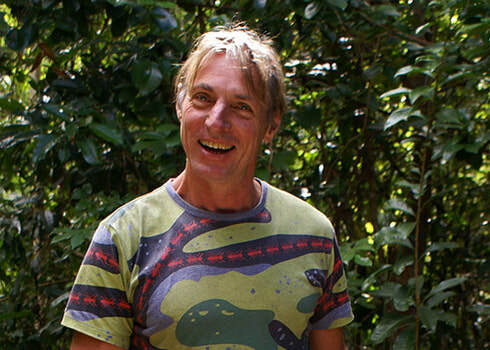 Brent Cook has had a strong resonance with Mission Beach and its surrounds for over 3 decades. 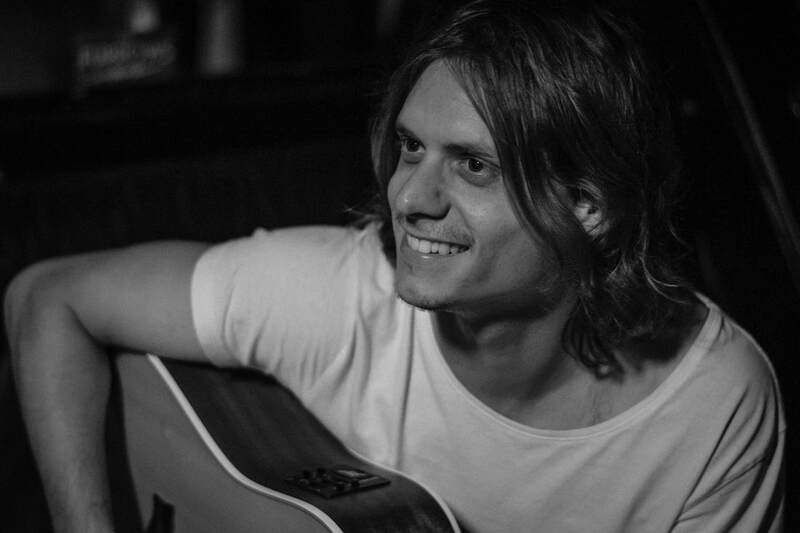 Whilst sharing his deep connection with this environment, Brent's open expression with old folk and alternative rock influence is set to entertain.